Jeffrey Zeldman. The godfather of web standards, the guy who first got me hooked on CSS and HTML, and who introduced me to WordPress. Zeldman. 10 years later? 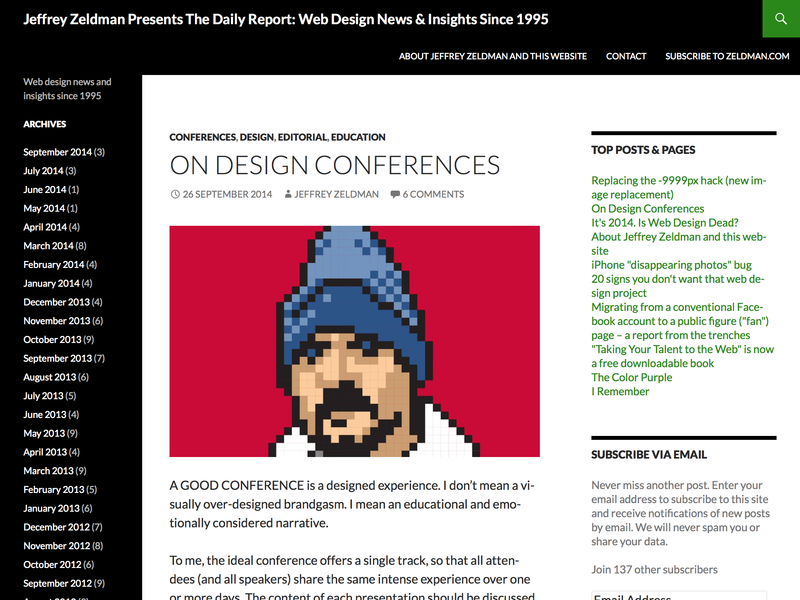 Zeldman.com uses a theme I helped make for WordPress. I love my job. Thank you, Jeffrey, for getting me started and for continuing to inspire.